Recently we spoke about why the time is right for LED and the reasons behind the increase in LED screen ownership. Owning a screen is all well and good but without great content, your audience will quickly lose interest in your new asset. And whilst content creation might seem like a daunting task, it’s actually a lot easier and quicker than it seems. Gone are the days that you need to pay an agency or own a powerful PC. Thanks to the wonderful creation of the internet you can whip up something for your screen in a matter of minutes. We have tried, tested, and whole heartedly recommend the following online tools for creating your own content. No matter which tool you pick, the most important thing to keep in mind is that your screen uses an aspect ratio of 16:9. In layman’s terms this means your image should use a size such as 1920 x 1080 pixels. 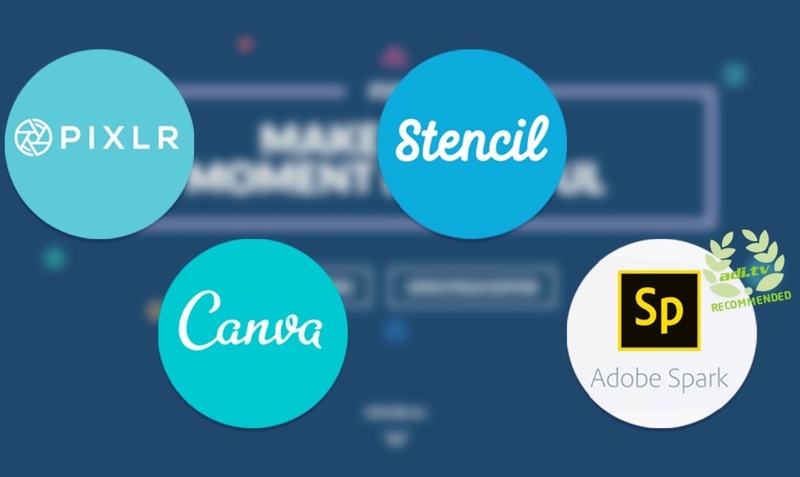 All the below tools allow you to create an image of these size so no need to worry! Canva’s interface is very modern and super slick. Once you’ve signed up for an account you’re presented with a list of categories which you can click to get templates for that specific topic e.g. an event template. Using the custom size option you can create those beautifully crisp full HD images. There’s lots of free images and themes to choose from and some premium ones too but you don’t have to spend a penny here to make amazing images. Stencil works similarly to Canva and again keeps things on the simple side. It also has the important feature of creating custom sized images allowing you to make 1920 x 1080 pictures. They use a different stock library than Canva so there may be some images more suited to your needs than Canva but you can only create 10 images a month for free before you have to pay. This should me more than enough, at least in the beginning! Pixlr is an extremely powerful image editor (think a cloud version of Photoshop) which you can access for free. Admittedly, Pixlr does require a little more technical knowledge because of how many features are packed into it, but there are a range of tutorials just a quick Google away. Pixlr is currently owned by 123rf – a stock image company – which means you have access to their premium stock photographs (which you can pay for) or you can upload your own images and manipulate them for free!